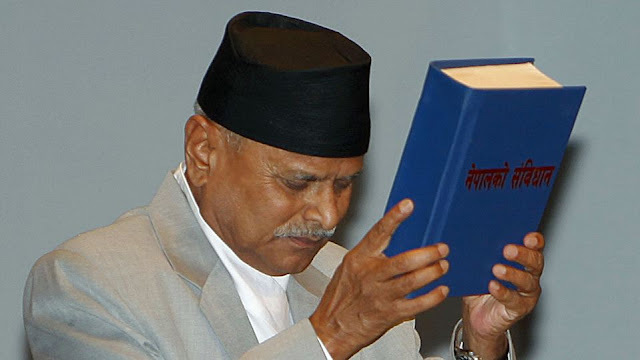 Nepal promulgated its new Constitution on 20 September, 2015 with the aim that it will help Nepal to overcome the political, economic and social crisis that it had faced for a long time. However, the newly promulgated constitution before being fully operational and getting imbibed has instead led to inter-ethnic tension thereby, causing political unrest in the Terai region and has affected the entire country. The new constitution has created a federal structure consisting of seven provinces and this has been opposed by ethnic groups like the Madheshi and the Tharus belonging to the Terai region as their demand for creation of at least two autonomous states on ethnic lines in the Terai region has not been fulfilled. Further, these ethnic groups have opposed the new constitution for not giving them adequate representation in the parliament and the lack of reservation in all the spheres of national life has compelled these groups to come out for protest and demand for the amendment of the constitution. 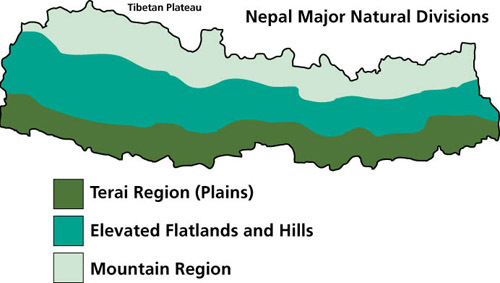 Terai, it is a region which is closely and continuously connected to Indo-Nepal border through which the goods and materials bound for Nepal passes to be sent to various destinies within the country. The political unrest for more than two months in the Terai region has led to the blockade of supplies of essential commodities to Nepal. Moreover, the unrest is crippling the industries throughout Nepal due to lack of shortage as well as lack of continuous supply of raw materials. The unrest has been no less in showing its influence on the daily lives of the people in Nepal such that the basic necessities for survival including the medical supplies are becoming scarce and is inflicting immense hardship to the people thereby leading to the possibility of humanitarian crisis. Further, it has also affected the tourism industry of Nepal, one of the important contributors to the national economy and the important source for employment generation in the country, which was still in the process of revival after the devastating earthquake that hit the country earlier this year. Those people who are dependent on tourism for their employment has been badly affected by the unrest. In nutshell, the political unrest is affecting the overall economy of Nepal. However, for this blockade Nepal has blamed India as it holds the view that India has unofficially created and backed the blockade in the Terai region. India on its part has also voiced its displeasure over Nepal’s new constitution on the issues concerning Madheshis and Tharus and has demanded amendment of the constitution so as to make it inclusive. Further, from India’s perspective, it is the unrest in the Terai region that has actually led to the blockade in the region. Thus, the difference in perspective regarding the blockade has made the two countries further far away from each other. The fact that India and Nepal, both share a unique relationship with each other as both the countries since time immemorial have historical, cultural, social, geographical and linguistic ties but the elements of confidence and trust supported by unique relationship could never make its way while engaging with each other over the years. The relationship between the two countries could never flourish. During the past two decades the relationship has deteriorated and the present constitutional crisis in Nepal has further deteriorated the relationship between the two countries. It is important for the Nepal government to realize that the Terai region is the engine of Nepal’s economy and the recent conflict in the region has not only hampered the country but it has also strained its relationship with India. The government must acknowledge that the demands made by the Madheshi and the Tharus are not the new problems or are the demands created by the new constitution. The problems and the demands were there since long time as these groups had been facing the problems over a long period of time. The governments over the years has failed to address the problems and never made a concrete effort to resolve the issues of the ethnics groups. The Nepal government should immediately look into the matter rather than wait for the conflict in the Terai region to settle by itself. More than two months have gone and the region is still a zone of unrest and at times the situation has gone worse. Most importantly, the government must take steps to initiate the process of amendment of the constitution as quickly as possible and include the representatives of the Madheshi and the Tharus in the amendment process so that the amended constitution is accepted by all the people of the country. And the existing oligarchy power holding system, habituated to unquestioned leadership has to be restructured within the country and make it democratic and inclusive so that the power is shared among all the sections of the country. Further, the government must strive to promote and provide open and equal opportunities to all the people in all spheres of national life. Any delay in initiating the process of amendment and addressing the issues of the Madheshi and the Tharus will prolong the unrest in the Terai region thereby leading to the possibility of outbreak of civil war in the region. Thus, immediate response which is much needed from the government will not only bring peace in the Terai region but will also end the possibility of outbreak of civil war in the region. Moreover, sooner the peace is restored faster the movements of essential commodities including medical supplies and raw materials for Nepal will restart and this will not only end the crisis that the people have been facing for more than two months but it will also help Nepal to slowly revive its industries back to normal. Finally, Nepal must act maturely by realizing the fact that the present crisis is due to internal problems in the country, therefore, immediate response to resolve the crisis will also help Nepal to normalize its relationship with India. Bhattarai, Manohar Prasad (2011), “Federalism and the Restructuring of the State” in Tomislav Delinic and Nishchal N. Pandey (eds.) Nepal's National Interest: Foreign Policy, Internal Security, Federalism, Energy-Economy, Kathmandu: Modern Printing Press. Ghimire, Yubaraj(2015), “Who are the Madhesis, Why are they angry?”, The Indian Express, Kathmandu, 5 October 2015. Guneratne, Arjun (2010) "Tharu-State Relations in Nepal and India," Himalaya, the Journal of the Association for Nepal and Himalayan Studies, 29 (1): 19-28. Jha, Hari Bansh (2015), “Nepal’s New Constitution: An Analysis from the Madheshi Perspective”, IDSA Comments, New Delhi: Institute of Defence Studies and Analyses (IDSA), September24, Available at: http: //www.idsa.in/idsacomments /NepalsNewConstitution_hbjha_240915,accessed November 29, 2015. Pattisson, Pete (2015), “In Nepal, $1bn Impact of Strikes over Constitution 'Worse Than Earthquakes”, The Guardian, Kathmandu, 5 October, 2015. Availabe at: http://www.theguardian.com/global-development/2015/oct/05/nepal-1bn-dollars-impact-economy-strikes-over-constitution-worse-than-earthquakes, accessed November 29, 2015. Raj, Prakash A. ( 2011), “ How Many States in a Federal Nepal?”, in Tomislav Delinic and Nishchal N. Pandey (eds.) Nepal's National Interest: Foreign Policy, Internal Security, Federalism, Energy-Economy, Kathmandu: Modern Printing Press. Sinha, Arun (1989), “Restructuring India-Nepal Relations”, Economic and Political Weekly, 24 (24): 1326. Upreti, Bishnu Raj (2011), “Potential Conflicts and Possible Response Provisions in Nepal’s Federal System”, in Tomislav Delinic and Nishchal N. Pandey (eds.) Nepal's National Interest: Foreign Policy, Internal Security, Federalism, Energy-Economy, Kathmandu: Modern Printing Press. Welinder, Shelby ( 2015), “Humanitarian crisis”, The Himalayan Times, Kathmandu, 20 November, 2015. Available at: http://thehimalayantimes.com/opinion/humanitarian-crisis/, accessed November 29, 2015.